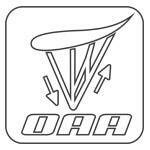 OAA - One Action Acceleration - Apco Aviation Ltd.
OAA ia an innovative system The OAA allows to simultaneously operate both the speed system and the trimmer for optimized angle of attack at any given speed. With OAA, when using the speed system, the trimmers are released gradually according to the position of the speed bar. This allows for a larger speed range that can be fully used in one swift action of the speed bar. 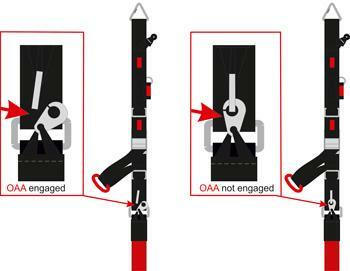 The “OAA” riser system runs on low friction Air Xtreme ball bearing pulleys for effortlessly progressive operation. The pilot can choose if to activate the system or not with a simple “On/Off” setting operated with one Brummel hook connection. By combining the design of “OAA” with our “SRS” (floating riser system) – we also achieved a riser that is clean and simple to operate.